Although officially formed in 2015, the foundations of Rosettas Variety Entertainment go much further back. Imagine four dancers, all trained from an early age at the same professional stage school, gone their separate ways to dance for various entertainment companies, and then returned to re-join and formulate their own business. That is the beginning of Rosettas! In this beginning, Rosettas were a Vintage Cabaret company, excelling in Charleston, Can-Can and Hollywood Tap. However, to keep up with modern-day demands, Rosettas listened to the wants of current clients, and can now turn their hand to almost anything! 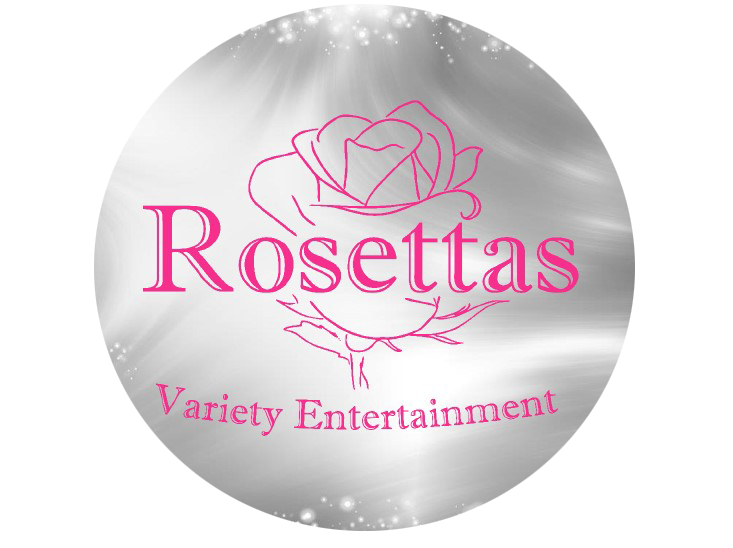 Accumulating a wide range of styles of dance and speciality skills, Rosettas became a true variety entertainment company. We have grown considerably, and now have many diverse dancers on our books. We will perform anywhere and everywhere, using our training and experiences to put together shows that are diverse and exciting, for all sorts of audiences. Good Communication! We always find that the key to successfully organising an event is efficient and swift communication. We will correspond in a way that you prefer, whether it be phone, email or in person. We understand that it is vital to discuss all requirements as much in advance as possible. We will be responsive to your questions and will strive to provide you with the most excellent service. Talented and Pleasant Performers. We only send performers we absolutely trust to deliver the highest possible service. We guarantee they are all excellent dancers, beautifully costumed, and have a professional conduct at all times. Punctuality and Reliability. We always arrive in plenty of time to ensure that we can see the lay out of the event, check the performance space, and get changed into costume. We can confidently declare that we deliver exactly what we say we will – if not more! No Hidden Costs. We always take into consideration travel and other expenses before we give you a quote, so we will not add any extra fees on top. We guarantee that the price we agree on will not change. Professional Licences. We have full product and public liability insurance. Our performers are covered by employee’s insurance, and all hold a DBS certificate. We can also provide a risk assessment if necessary. All documents can be made available to you upon request.